Rates of contralateral prophylactic mastectomy (CPM) have increased over the last decade; it is important for surgeons and hospital systems to understand the economic drivers of increased costs in these patients. This study aims to identify factors affecting charges in those undergoing CPM and reconstruction. Analysis of the Healthcare Cost and Utilization Project National Inpatient Sample was undertaken (2009–2012), identifying women aged ≥18 with unilateral breast cancer undergoing unilateral mastectomy with CPM and immediate breast reconstruction (IBR) (CPM group), in addition to unilateral mastectomy and IBR alone (UM group). Generalized linear modeling with gamma regression and a log-link function provided mean marginal hospital charge (MMHC) estimates associated with the presence or absence of patient, hospital and operative characteristics, postoperative complications, and length of stay (LOS). 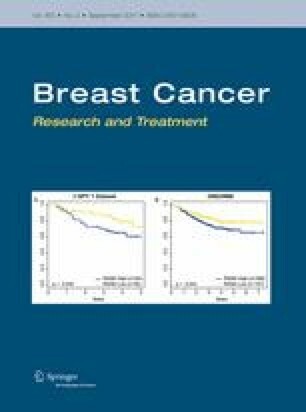 Overall, 70,695 women underwent mastectomy and reconstruction for unilateral breast cancer; 36,691 (51.9%) in the CPM group, incurring additional MMHCs of $20,775 compared to those in the UM group (p < 0.001). In the CPM group, MMHCs were reduced in those aged >60 years (p < 0.001), while African American or Hispanic origin increased MMHCs (p < 0.001). Diabetes, depression, and obesity increased MMHCs (p < 0.001). MMHCs increased with larger (p < 0.001) hospitals, Western location (p < 0.001), greater household income (p < 0.001), complications (p < 0.001), and increasing LOS (p < 0.001). MMHCs decreased in urban teaching hospitals and Midwest or Southern regions (p < 0.001). There are many patient and hospital factors affecting charges; this study provides surgeons and hospital systems with transparent, quantitative charge data in patients undergoing contralateral prophylactic mastectomy and immediate breast reconstruction. The online version of this article (doi: 10.1007/s10549-017-4315-4) contains supplementary material, which is available to authorized users. The authors declare that they have no conflict of interest and there was no internal or external financial support for this study.